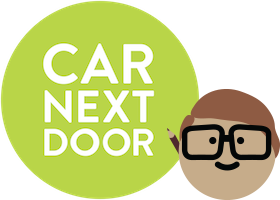 Your car must be roadworthy when it first goes live on Car Next Door, and at all times it's available for Borrowers. It's your responsibility, and a requirement under the membership agreement, to make sure your car is always safe to drive. This is our summary of the Vic Roads Roadworthiness Requirements – you can go to the “What does the Certificate of Roadworthiness inspection cover?” section of this webpage to download the full document. If you are not able to confirm that your car is roadworthy, you should contact a roadworthy tester. Wheels and Tyres: Wheels securely attached, Minimum tread depth of 1.5mm with no damage. (Here's a simple way to check tyre tread using a 20 cent coin). Brakes: All brake components must function correctly, be securely mounted, appropriately located and free from visible wear, distortion or damage likely to cause failure, malfunction or uneven application. Seats and Seat Belts: All seats and backrests must be secure, structurally sound and free of jagged edges or protrusions which could be hazardous. Seat slides must be functional. Seat Belts must be present and comply with seat belt standards. Lamps, Signals, Reflectors etc. : All lamps (headlamps, stop lamps, front and rear position lamps, a number plate lamp if applicable, and blinkers) must work. Grab a friend or passer by and check that all of the lights work by having them stand outside the car and watch while you turn then on. Exhaust & Emission Control: The exhaust system of the car must not pass through the cabin or any passenger area and must be free of leaks. Mountings need to be secure. Windscreen & Windows: Modern Windscreens are laminated and should be replaced if it has any crack that penetrates more than one layer of glass. One or more bull’s eyes or star fractures over 16mm in diameter or one or more cracks over 150mm in length are allowable as long as they are not within the area wiped by the windscreen wipers and provided that they do not impair the driver’s vision to the extent that the car cannot be driven safely. Side windows must not have damage that impairs the driver’s vision. Windscreen Wipers, Washers etc. : Must be secure, functional and not excessively worn. Body & Chassis: The structural components of your car must be sound and free from cracks, damage, faulty repairs or modifications, rust, deterioration, distortion or any other condition which could lead to structural failure of the car or adversely affect the performance of safety related features. Effective wheel guards (mudguards) must be in place (they may include parts of the bodywork etc.). Engine & Driveline: All parts of the engine and driveline must be in safe working order and free of vibration. Other: All pedals must have an effective non slip surface. All driving controls must function properly, your speedometer needs to work, as do your rear vision mirrors & horn. Refer to the FAQs on Takata airbag recalls for further information. Product Safety Australia has said that it is critical that drivers with alpha airbags installed take immediate steps to have the airbags replaced because of a significant risk of injury or death involved in using cars with these airbags. The alpha airbag cars are highlighted in the recall list. We suggest that if your car is one with alpha airbags, you should discuss the risk with a dealership or the manufacturer and that you consider making it unavailable for bookings until the airbags are replaced if it is not safe to drive. wait for your confirmation that the car is roadworthy (which may include a copy of your car's service records and any records or receipts relating to your investigation and repair of the reported issue) before making it available for bookings again.